Sunday’s Breakfast is a big deal for me and to spice it up I’m adding Poached eggs to the menu. For most of us in Nigeria, we prefer our eggs hard-boiled, fried or stewed, and like our meat, we like them very well done. However, despite being semi-cooked, I love poached eggs. My dad made them for us as children and I live for that glistening white and the warm yellow yolk that oozes out of it when I cut it unto salad or a crunchy slice of toast. My renewed interest in poached eggs was piqued courtesy Gordon Ramsey’s Master Class. Gordon is great but since his method didn’t really work for me, I spent the past few weeks perfecting my own technique. Poached Eggs are really easy to make and there are so many videos on YouTube teaching how to make them. However, if you are low on data, this is for you. Sit the scoop spoon (tea cup) in a bowl and gently crack an egg into it. The yolk MUST not break. Now, I know the pro-chefs just crack the egg on the edge of the table and dump it in the boiling water but I’m not there yet. I prefer the scoop spoon because it’s easier to pour the egg in the boiling water with it. Use the perforated spoon to scoop away the white stuff floating on the top of the water and throw that away. Then gently fetch up your egg. You may cut off any wispy edges with a spoon if you really want that smooth perfect appearance. Hold the poached egg in the perforated spoon for a few seconds to drip off the excess water. Finally place the egg on some kitchen paper or a sieve to drain any excess water left. Be sure your eggs are fresh or the yolk will break and ruin your attempt. 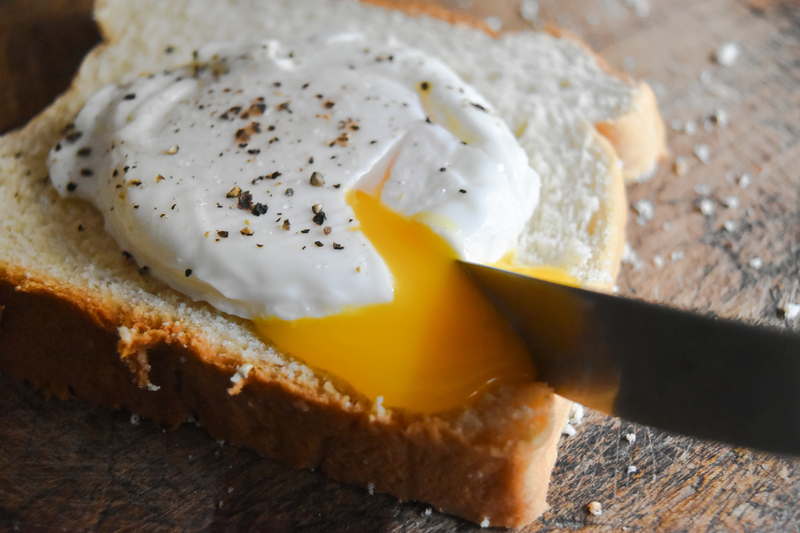 There are a number of kitchen appliances designed to make the perfect poached egg, however, a pot and some water are certainly most affordable. She will be pleasantly surprised! Goodluck and let me know how it goes. https://polldaddy.com/js/rating/rating.jsI literally had this today! And its sunday…this is so weird because I finally got it right this time around and enjoyed it too much. I’m planning on having it for breakfast tomorrow too, lol. Haha. I know right? The moment you get it right, you want to do it everyday😂. Thank you for reading!